I was blown away by this paper out of the Sasai laboratory at the Riken Center for Developmental Biology. Essentially, the Sasai laboratory is trying to recapitulate the developmental process of the retina in a test tube in isolation from the rest of the live animal. Its a stunning development that appears to demonstrate bilayered optic vesicles, then cups that reach around to surround the lens vesicle. Many efforts to grow organs in a dish have been attempted before, going back to the 1990’s, and eye development studies have been performed in frogs to get eyes to grow in places they do not normally develop, but this is the first time such a complex tissue/organ has been apparently successfully demonstrated in culture conditions. 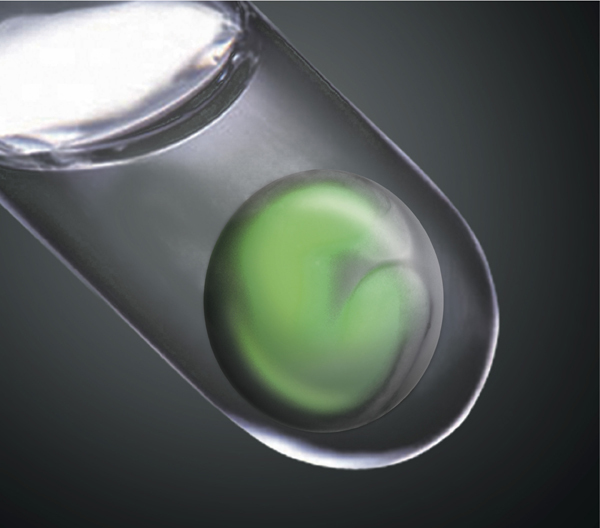 The advance from the Sasai laboratory specifically demonstrates that the evagination of the optic vesicle can be induced and controlled to form a bilayered cup (from this Webvision page, animation here). This process normally requires the surrounding tissues to provide guidance and induction cues, so engineering this to happen spontaneously from homogeneous pluripotent cells in culture is a substantial advance.